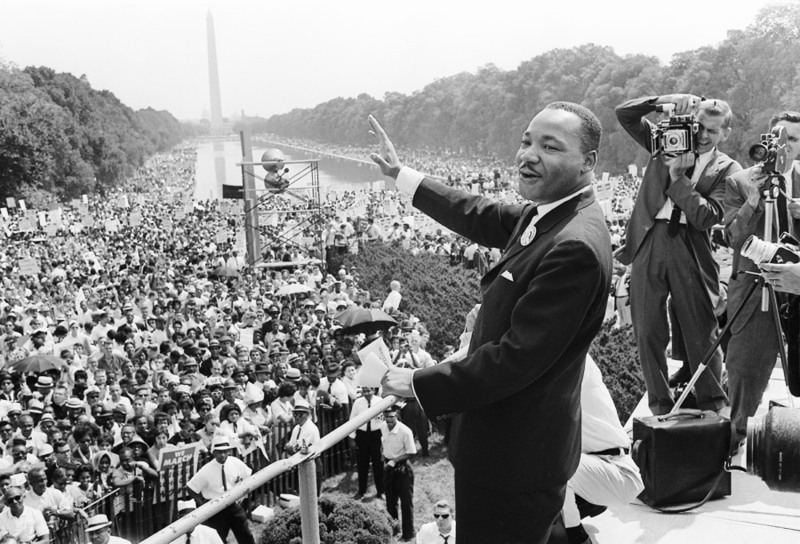 On August 28, 1963 Martin Luther King, Jr. delivered his historic “I have a dream” speech on the steps of the Lincoln Memorial, forever changing race relations in America. 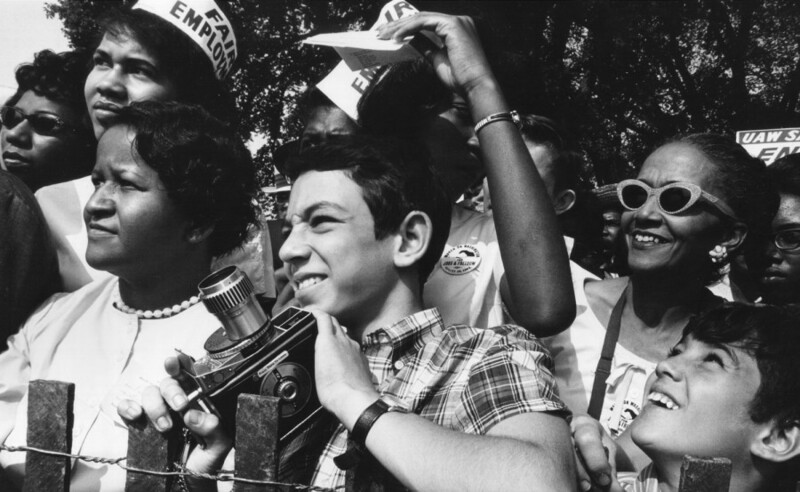 Martin Luther King, Jr. waves to supporters on the Mall in Washington DC, on Aug. 28, 1963. 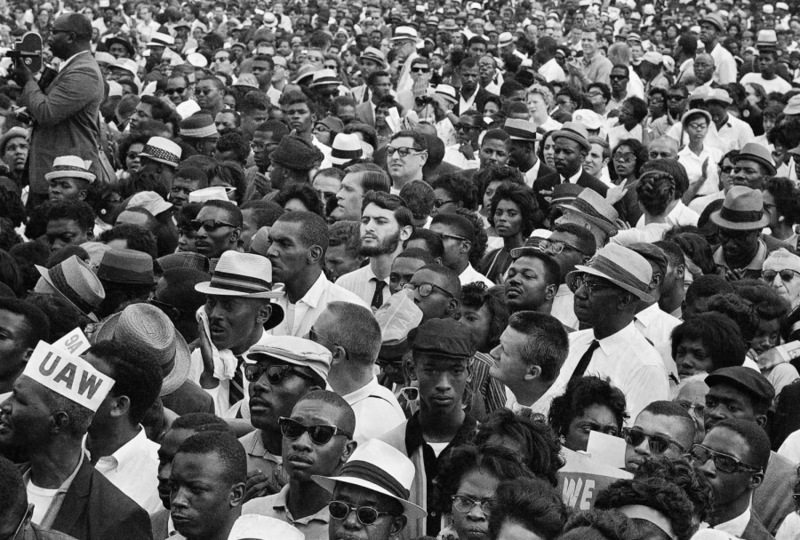 Thousands participate in the March on Washington for Jobs and Freedom. 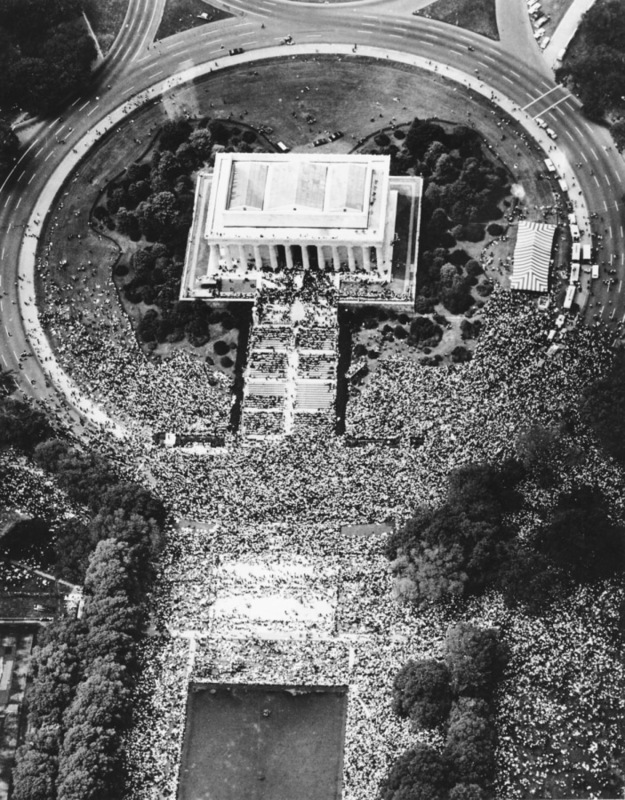 A crowd gathers at the Lincoln Memorial. 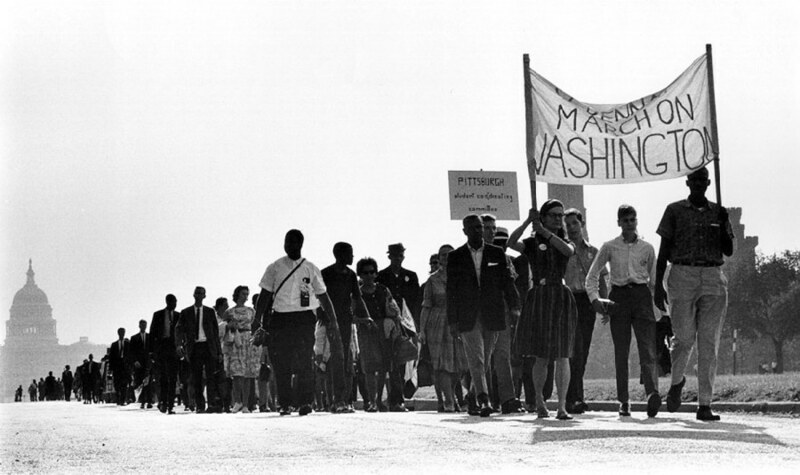 The March on Washington at Lincoln Memorial in D.C.
A young woman listens during the civil rights rally. 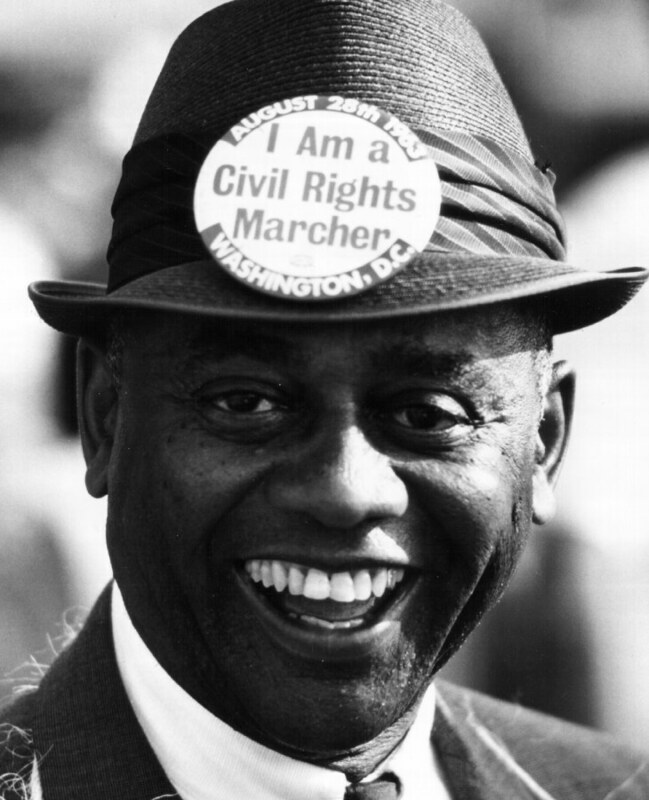 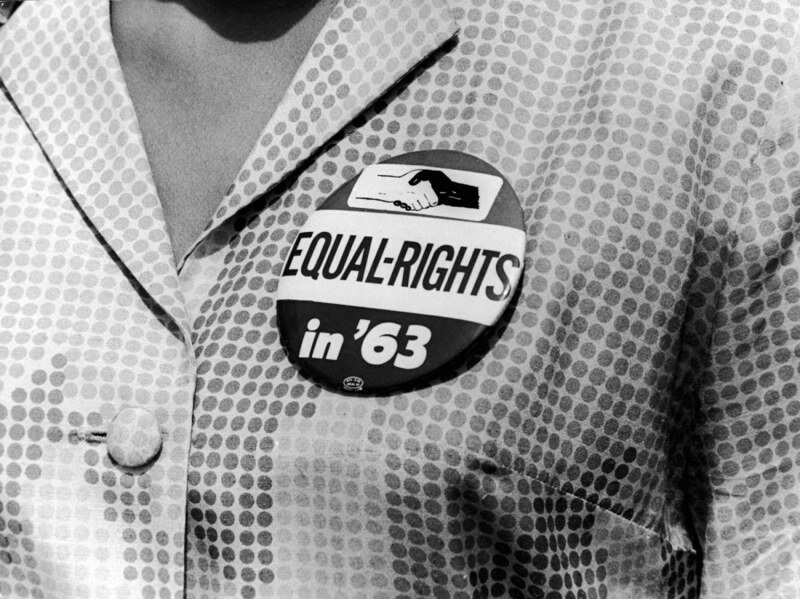 A civil rights protest button at the March on Washington. 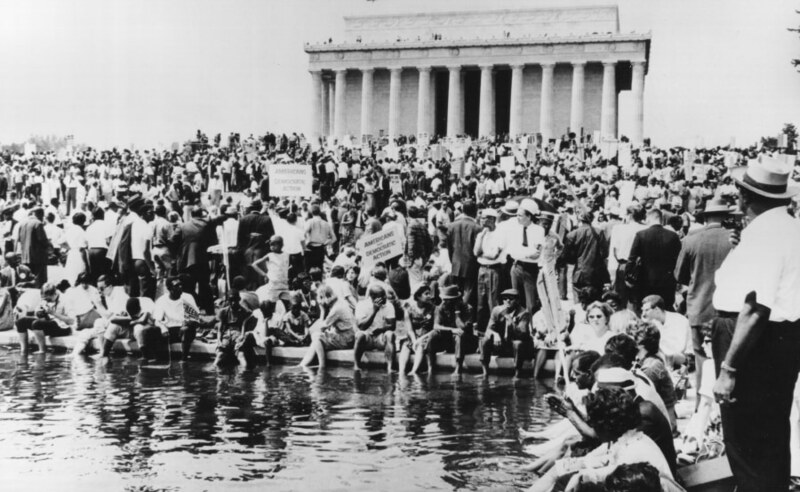 Demonstrators gather in front of the Lincoln Memorial. 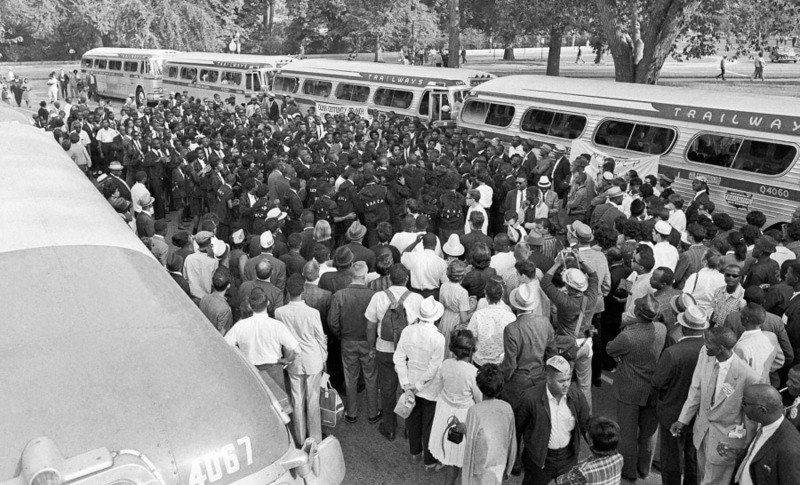 Demonstrators listen near the Lincoln Memorial. 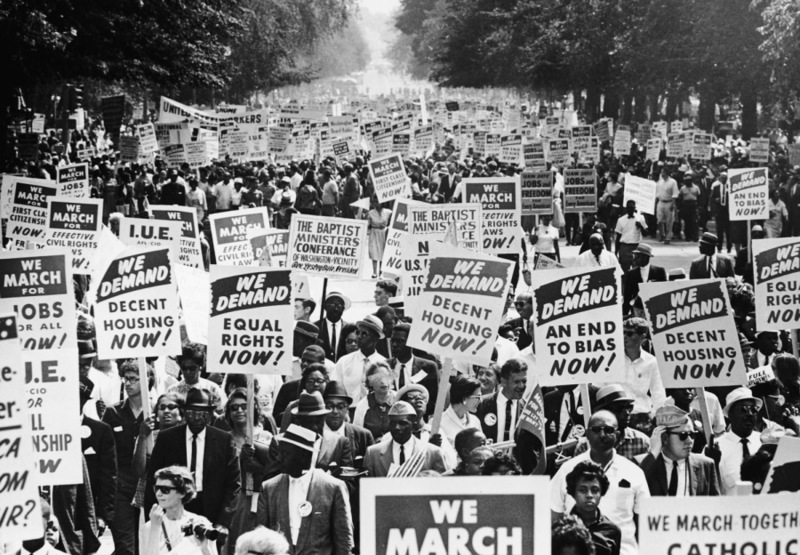 The view down Constitution Avenue. 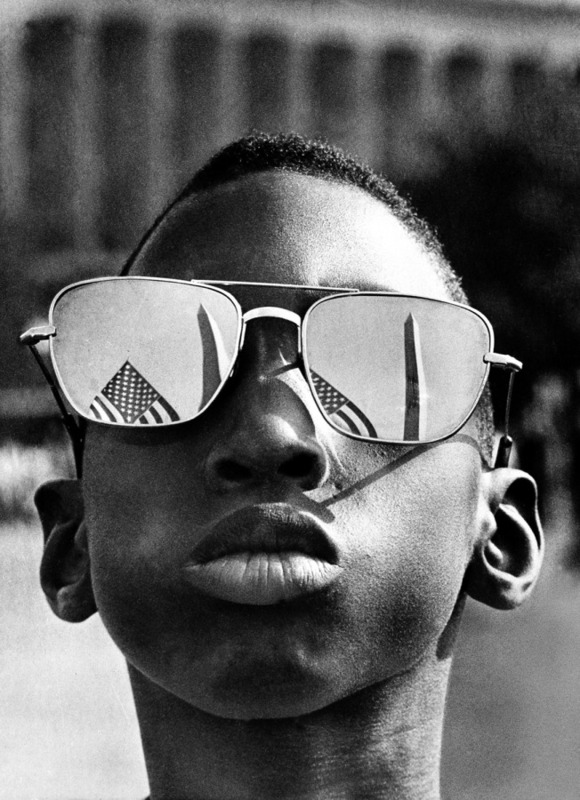 Austin Clinton Brown, 9, of Gainesville, Ga., attends the March on Washington. 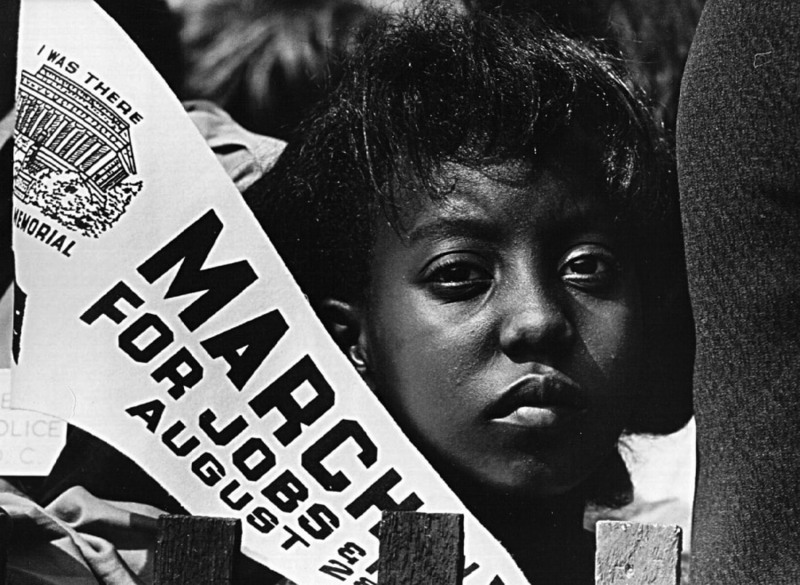 A woman is calmed by police during at the March on Washington. 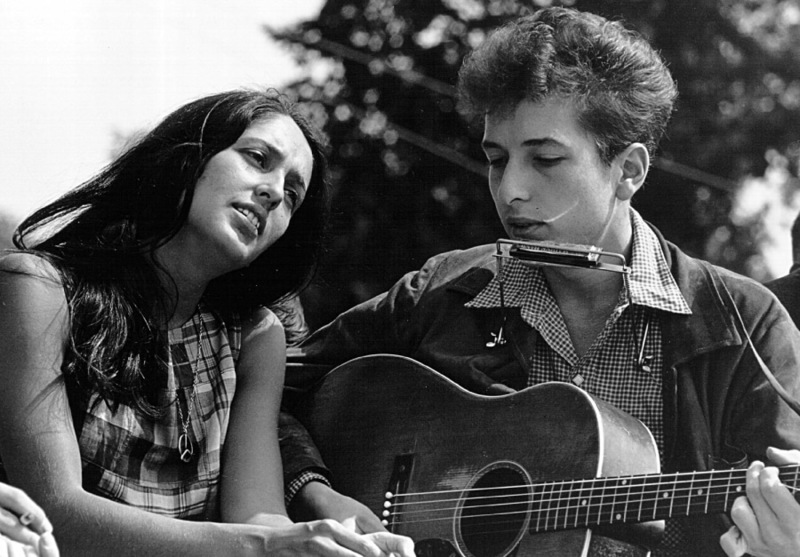 Folk singers Joan Baez and Bob Dylan perform at the March on Washington. 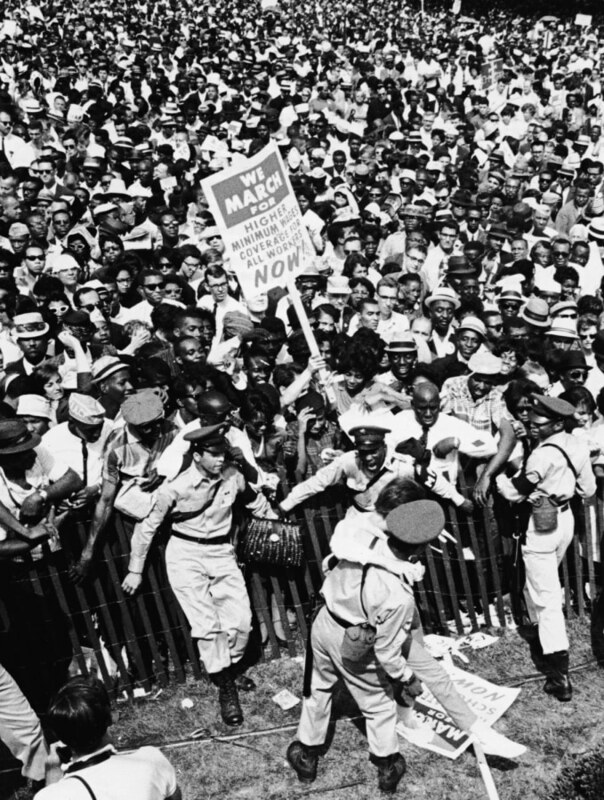 NAACP group from Wilmington, N.C., sing in the street near the Washington monument grounds.